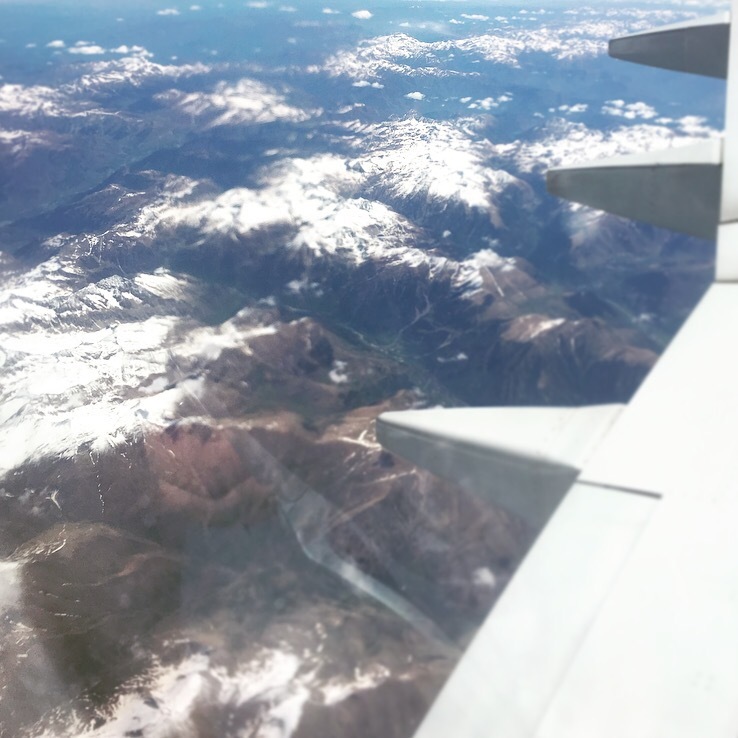 As I write this, I am sitting in seat 18b of a Boeing 737-800, beginning our descent somewhere over the south of Spain, and despite all expectations, I am feeling fine. No, in actual fact I am feeling good. I am enjoying the flight, the views, and Gloria’s company (even if she appears a little less keen on the descent than I am). I will not pretend I haven’t had a stressful morning, or that I was comfortable during takeoff – undoubtedly my least favourite part – or the majority of the flight, but for the first time in a long time I find myself excitedly peering out of a plane window at the lands below. Early on in the flight I found myself unable to relax, my every sense sensitive to any change, my heart stopping at every noise, every movement. We’ve above the clouds, the seat belt signs are off, hostesses are going about their work as if they were waitresses in a bar; I begin to relax. Turbulence. And she is absolutely right, on a train this wouldn’t be cause for concern, perhaps reaching for a handle if standing, but nothing more. The fear starts to fade, and I think of my destination and the adventures ahead… I can’t believe what I’m feeling: excitement. And so, the man who previously couldn’t sleep because closing his eyes made him too aware of movement (and scared of missing a sign of danger like smoke or flames, despite being powerless to stop either), found that by doing precisely that he could relax. And he’s even relaxed enough to write!